Emulsifies Class B Hydrocarbon fuels. Contains NO alcohols for higher flash point and compatibility with Class A/B Systems. Can be used with fresh, brackish and sea water, plus exhibits good foamability, even in cold water. 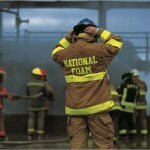 Environmentally responsible Responder, Class A foam concentrate. 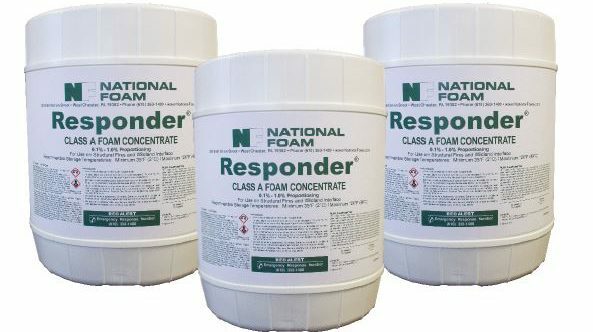 Responder is designed for use in Class A/B foam systems and is excellent for Compressed Air Foam Systems (CAFS). This environmentally responsible formulation does not contain reportable components under SARA Title III, Section 313 of 40 CFR-372, or CERCLA. Responder foam concentrate works in two ways. 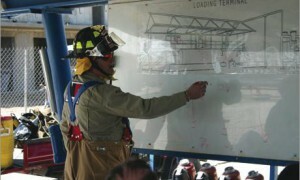 First, Responder improves the penetrating capability of water. It reduces the surface tension of plain water which allows it to penetrate surfaces where water might normally run off, to reach deep-seated fires. Secondly, Responder increases the heat absorbing capabilites of water. Foaming ingredients give water the ability to adhere to vertical surfaces which allows the water longer contact with the fuel. The longer the water is in contact with the fuel, the more heat it is able to absorb. 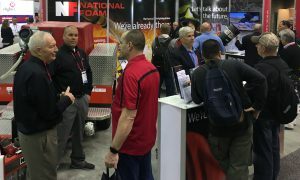 A coating of Class A foam may also be used for exposure protection to prevent fuels from igniting by raising their moisture content and providing a tough protective barrier to an oncoming flame front.